Trust Company of Illinois (TCI), an independent wealth management firm and corporate fiduciary, recently announced the addition of Northern Illinois University alumna Deborah Shoemaker as planning and fiduciary services director. “It was always our dream that the company would thrive as an independent financial advisor for decades to come. Bringing ‘next generation’ talent on board is a big step toward achieving that goal as TCI’s second chapter continues to unfold,” said TCI Chairman and Founder Greg Osko. Inn her new role, Shoemaker directs the financial planning and fiduciary services team. 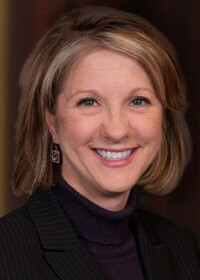 A Certified Financial Planner™ (CFP) and Certified Trust and Financial Advisor (CFTA) professional with over 20 years of successful experience in financial services, she previously served as senior vice president of business development for ING National Trust, where she successfully delivered sophisticated financial, estate and planning strategies for high net worth clients. “Our clients will greatly appreciate the enhancement of our service offerings due to Deb’s unique understanding of trusts and estate planning. Coupled with her marketing background, excellent communication and organizational skills, she will be an invaluable asset as TCI continues to grow,” says John Vires, CIO and partner. Shoemaker earned a BS, with an emphasis in finance, from NIU before earning an MBA at another institution. She is the current president of an equestrian not-for-profit and resides in Grayslake—a community where her enthusiasm for horses and riding fits into her everyday life.